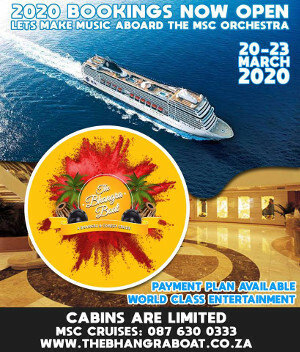 #SONGDROP: Oyo! ‘Fright for me’ just dropped from Kings of Mulberry Street! 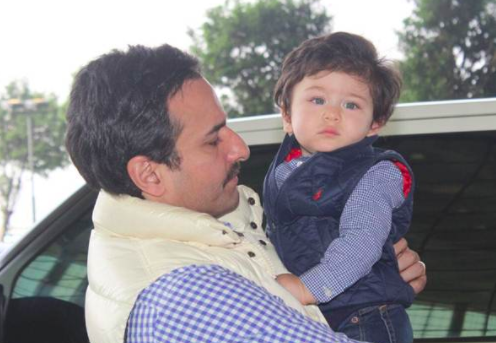 Nawab of Pataudi Saif Ali Khan and his begum Kareena Kapoor Khan have presumably left for the Pataudi Palace with their prince Taimur Ali Khan. 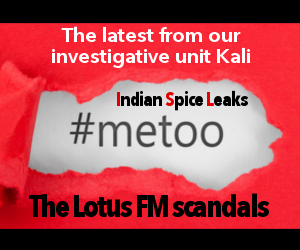 The trio was spotted at the Mumbai airport on Saturday morning as they were leaving the city. 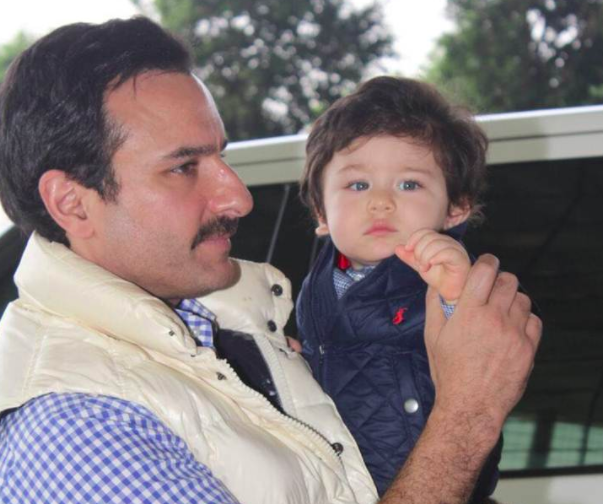 With only four days left for much-adorable Taimur’s first birthday on December 20, it is being said that the Pataudi clan has flown to the Pataudi Palace in Haryana to ring in the birthday of the youngest Pataudi in the family. A few days back Kareena’s sister Karisma Kapoor revealed that the Khans and the Kapoors are planning low key celebrations for Taimur’s first birthday celebrations with only close friends and family in attendance. Well, while we wait to get the final news as to where the cuddle baby is treating his near and dear ones on his first birthday, we cannot stop ourselves from gushing over these latest clicks of him. 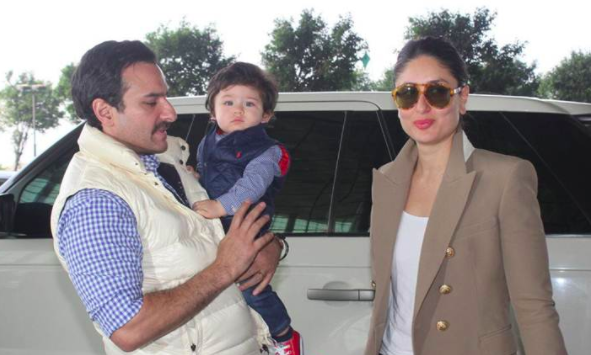 Like always, having Taimur decked up in his father Saif’s arms made for a delightful sight for the paparazzi and for the onlookers at the airport. What caught our attention in the photo was the blue check shirt and the blue denim of the father-son duo. The little Khan was twinning with his star daddy but certainly stole the charm from him and had all the eyes set on his blue eyes and his plush pink cheeks. 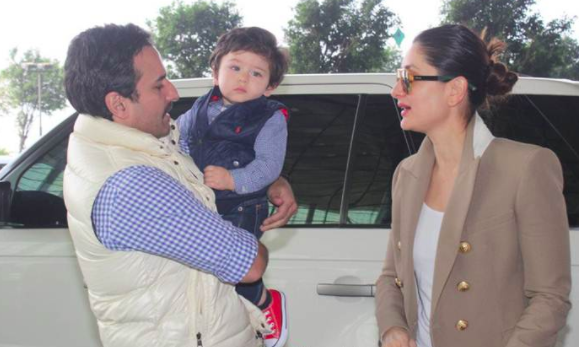 Kareena donned her best airport look to match up to the style quotient of her little baby boy Taimur. 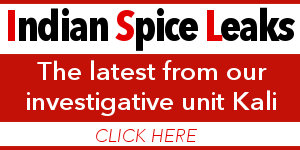 Recently, when Kareena and Saif were asked about their plans for Taimur’s birthday at the book launch of Saif’s sister Soha Ali Khan, the two avoided replying and laughed it off. 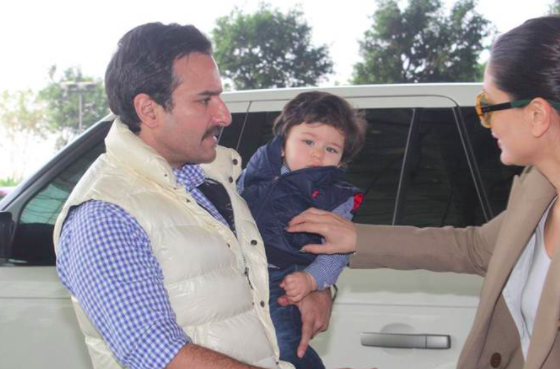 Now, after seeing Taimur chilling on a swing, playing with Karan’s kids Roohi and Yash at Rani Mukerji’s daughter Adira’s birthday and accompanying his mother to the airport, we eagerly await to see the photos from his birthday celebrations.